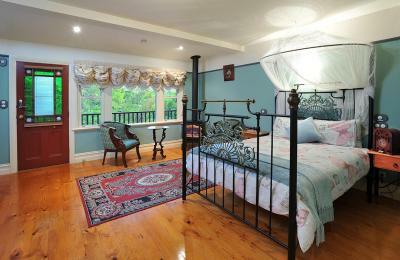 Lock in a great price for Belgrave Bed and Breakfast – rated 8.7 by recent guests! A perfect stay for our wedding anniversary. All the extra touches were so appreciated. Beautiful ambience. QCentral location. Di , the hostess was excellent, would do anything for you. Everything was lovely especially the extra touches like our chocolates beside the bed, some cheese and crackers for afternoon tea when we arrived and the coffee machine. Beautiful room, great communication with a lovely friendly host. Lovely quiet location and so close to everything. Beautiful comfortable bed and lovely shower and spa. Lovely little personal touches with a bottle of champagne for our wedding anniversary. Excellent place to stay. Cute cottage, lovely host who communicated well, lots of yummy breakfast things, location is amazing, quiet, close to town, spa, clean and nice amount of information on food and things to do around town. It was quiet and comfortably set up. It was in beautiful natural surrounds. The location was excellent and this property has the potential to be a wonderful accommodation, but it is filthy to being unhygienic. 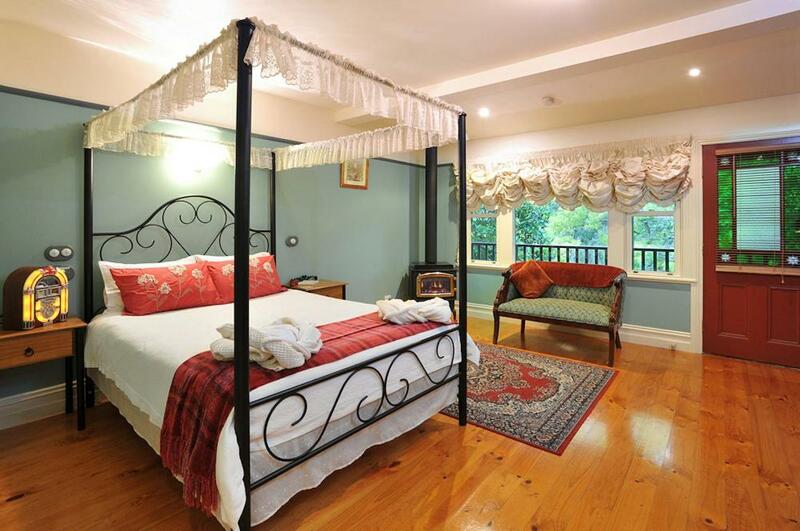 Belgrave Bed and Breakfast This rating is a reflection of how the property compares to the industry standard when it comes to price, facilities and services available. It's based on a self-evaluation by the property. Use this rating to help choose your stay! 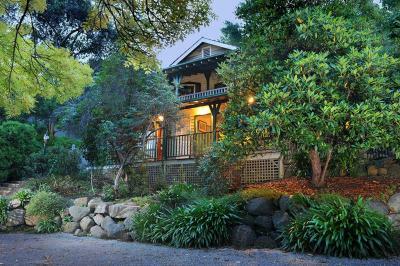 Belgrave Bed and Breakfast is 1,650 feet from Puffing Billy Railway Station and 450 feet from the Belgrave’s town center. 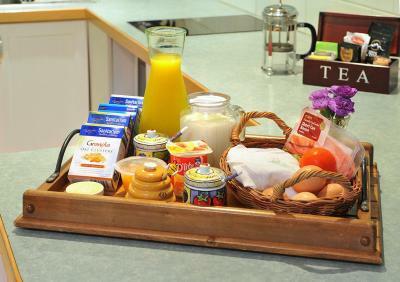 It offers free ingredients for a self-cooked breakfast. Rooms come with a spa bath and have a kitchenette. 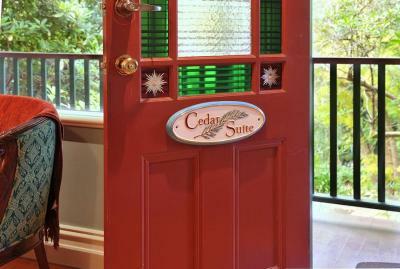 Fully air-conditioned, each room comes with a gas log fire and a courtyard with an outdoor seating. 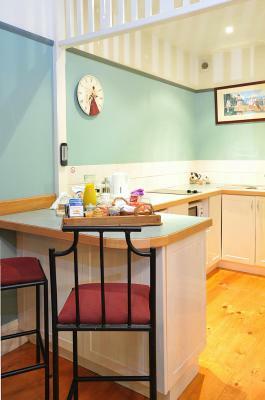 The kitchenette offers a microwave, tea/coffee making facilities and a stove. Free toiletries and a hairdryer can be found in the private bathroom. 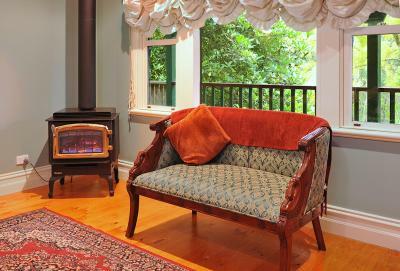 Bed and Breakfast Belgrave is 1,500 feet from Belgrave Railway Station and 6.8 mi from the Lysterfield Lake. It is 8.1 mi from the Dandenong Ranges National Park. 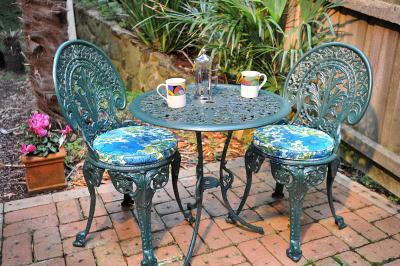 When would you like to stay at Belgrave Bed and Breakfast? 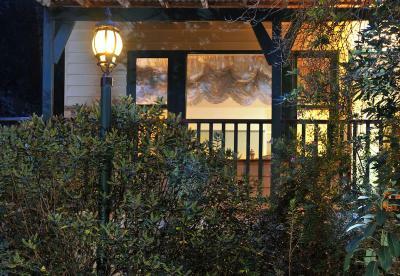 Studio features a 4-poster bed, a gas log fireplace and a well-equipped kitchenette. 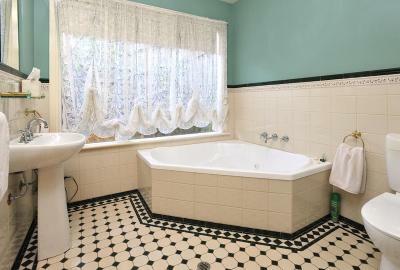 The private bathroom offers a double spa bath. 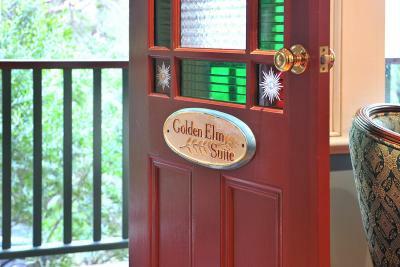 Studio features a brass large double bed, a gas log fireplace and a well-equipped kitchenette. 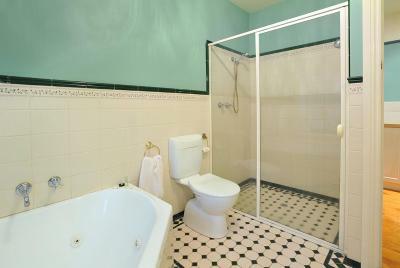 The private bathroom offers a corner spa bath. 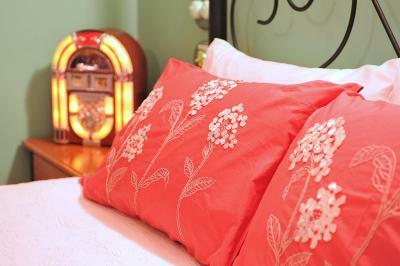 House Rules Belgrave Bed and Breakfast takes special requests – add in the next step! One child from 4 to 7 years is charged AUD 25 per person per night in an extra bed. One older child or adult is charged AUD 40 per person per night in an extra bed. Belgrave Bed and Breakfast accepts these cards and reserves the right to temporarily hold an amount prior to arrival. Please note that there is a 5% charge when you pay with Visa and Mastercard credit cards. Has to dodge traffic getting back and to Belgrave but nothing impossible. The place has a problem with black mould. Head over to trip advisor and read the reviews - a few other people have mentioned this too and I wish I read these reviews before booking. I don't think it's safe and I wouldn't recommend bringing children or elderly here. Google stachybotrys mould. I developed a bad headache shortly after checking in due to the strong musty/mouldy smell. It wasn't until two hours after checking in I noticed mould growing on the floor boards so I decided to check out for health reasons and because the smell was overwhelming even after I tried to ventilate the room. My experience was made so much worse because of the hostest and I hope I can forget this situation soon. She texted me endlessly after I checked out almost verging on harrassment and refused to refund any of the payment. I tried to give constructive criticism and told her the issues so she could rectify them but she became hostile, overly proud and accused me of insulting her rather than taking advice and acknowledging the problems. I'm not the first to mention the problems to her. The place is unhighgenic. The style is amazing but the furniture smells like it's rotting. There was hair all over the bathroom floor, the carpet hadn't been vacuumed, the bed linen smelled incredibly old. Their were two packets of cheap rice crackers on the bench, a block of camembert cheese and an open vase of milk in an old fridge. As well as that, the bnb is located right next to two busy intersections with loud engines passing through. It's situated on a hill so all the noise travels into the bnb. I couldn't hear any nature over the sound of heavy traffic. It was like being in an old house next to a highway. At the price they're charging it's not worth it. Do yourself a favour and stay somewhere else. Everything was great except there could be an additional thicker blind on the main room window to block out the light to go to sleep. Not much privacy. A thin shared wall between rooms. The owner lives upstairs and you could hear people walking above you. Window has fancy curtains but you cant close them, we felt "on view", so impossible to relax. Despite advertising online and on the large sign in the driveway, our room didn't have a 4 poster bed. Also despite booking stating payment is taken at the property, it was required 3 days prior to arrival. Driveway is dangerous to exit from due to sharpness of turn and visability. 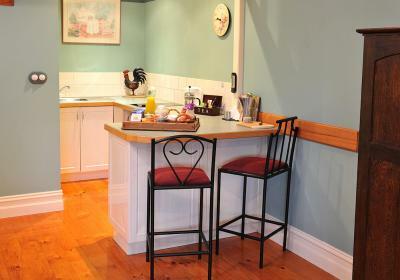 Well-equipped and appointed room; Excellent breakfast spread provided for cooking; Excellent location relative to town and Puffing Billy. Would happily stay here again. The bathroom curtains needs to wash.
You can hear next room making a lot of noise. The bacon was four days out of date and made me crook. Access to the carpark and the building are difficult.